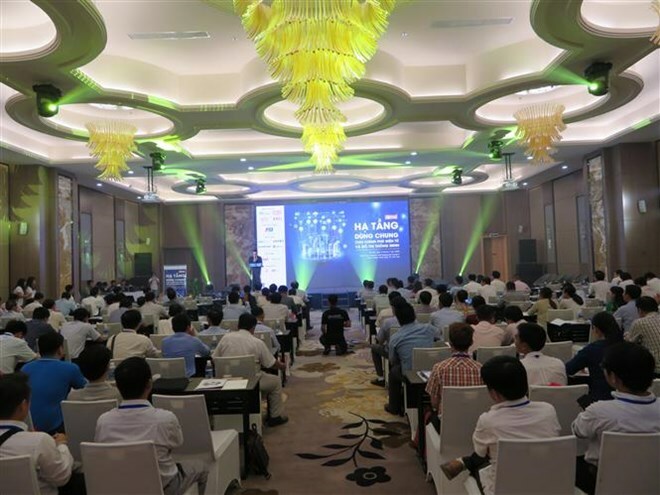 Can Tho (VNA) – A conference on measures to accelerate the building of electronic government and smart urban areas was held in the Mekong Delta city of Can Tho on July 31. At the event, Director of Quang Trung Software City Lam Nguyen Hai Long said the building of e-government and smart urban areas requires digital technology in all aspects of society. Each locality needs to view the building of e-government and smart urban areas as vital in its development. A model smart urban area which builds infrastructure using high technology was introduced at the event. Participants of the event discussed the establishment of a computer emergency rescue team, cooperation of private sector and government and regular checkups on emergency rescue capacity. They also stressed the significant role of training for public servants to use technology. According to a report on Vietnam’s e-Government development in 2017, the Ministry of Finance led the way, with more than 20 million requested records processed online. Announced by the Vietnam Digital Communications Association, the report featured evaluations and rankings for three categories, including ministries and ministerial-level agencies, governmental agencies and centrally-run cities and provinces. Among ministries and ministerial-level agencies, the Ministry of Finance led with 0.71 points, followed by the Ministry of Science and Technology (0.692 points) and the Ministry of Justice (0.678 points). Meanwhile, for governmental agencies, Vietnam Social Security led with 0.814 points.